Dare to Dream is Matthew's first book which focuses upon the 2012 season on Everest and the journey which led to the roof of the world. 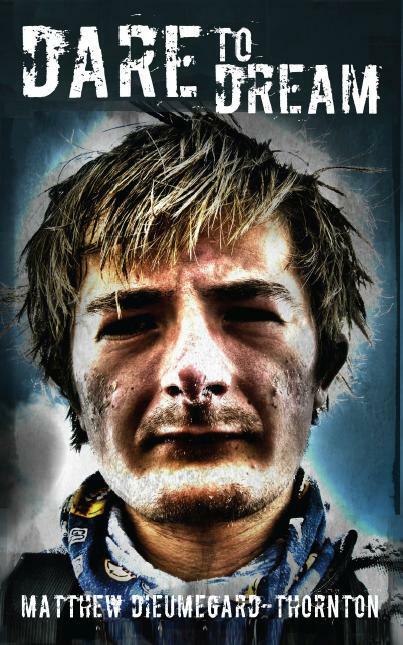 What started as a series of blog articles and expedition diaries was never intended to be compiled as a book, but simply a neater, personal record of Matthew's expeditions than he managed to achieve whilst scrawling page after page in various uncomfortable positions inside a cramped tent at Everest base camp. These diary pages lacked any emotion and instead contained purely the facts of daily events as emotions during expeditions are more often than not clouded by a mix of base camp lassitude and general life spent in a tent thousands of miles from home. Whilst this makes for a mostly accurate diary, a book resulting from a direct transcription would make for bland reading, and so whilst the expedition was still fresh in memory, but this time from the familiar surroundings of home, Matthew set about creating a 'master diary' which would contain the full story from backpacking trips in the English Lake District at 7 years old right through to the summit of the highest mountain on Earth. Getting the right balance of facts and emotions was easy since the book was only ever intended for close friends and family, however after some encouragement from the few who had read the resulting book, and the realisation that no one else had captured the 2012 season on Everest which was yet another chapter in the human fascination of Everest, Matthew decided to publish. At first Dare to Dream was published only as a Kindle e-book, however after selling around 5,000 copies in the first month of sale, Matthew thought it might be worth going the full distance and publishing Dare to Dream as a physical book, which is one of the most frustrating yet equally rewarding digital processes available. In writing Dare to Dream, the constant typing of well in excess of 100,000 words spread over some 300 pages took its toll on one laptop keyboard and a desktop computer, however it was the publishing process which certainly took its toll on Matthew, with 5 months being spent doing a full redesign of the book to make the book suitable for print which included countless revisions, crash courses in most of the Adobe Creative Suite, and various headaches from file formats, paper colour, weight and size, to book printing and trimming. In February 2015, almost 2 years since the book was first launched on Kindle, Matthew received the final proof copies of the first edition of Dare to Dream which marked a significant milestone in a long creative process. Dare To Dream is now available in both paperback and in Kindle format from Amazon. If you would like a signed copy, please contact Matthew via the contact page to get further details.